Energy-saving efforts are backfiring in a surprising way. In the last few years, LED light bulbs that signify energy-conservation have skyrocketed in popularity. They have clear benefits over both the incandescent bulb (much less efficient) and the fluorescent bulb (contains toxic mercury) that came before it. But, sadly, a product that was meant to be a part of the energy revolution has been linked to increasing light pollution, according to a new study. 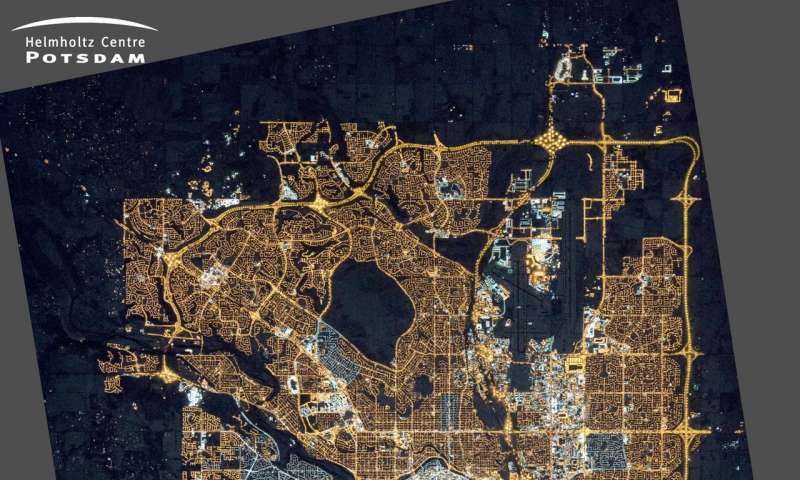 Researchers recently published an analysis of satellite data in the journal Science Advances that shows that more artificial light is brightening Earth’s night sky. Between 2012 to 2016, outdoor surfaces that are lit by light bulbs grew at a pace of 2.2 percent annually, which the researchers described as an “unsustainable” rate. LED light bulbs are causing a global problem, researchers concluded, reporting that light pollution was increasing in 79 countries compared to only 16 countries in which it was decreasing. 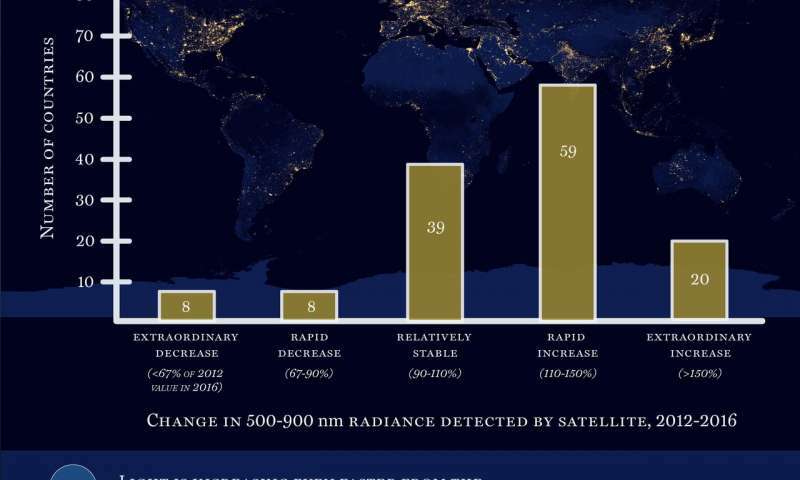 In 39 countries, light pollution remained stable during the study. The unintended behavioral effect of increasingly efficient technology has been dubbed the “rebound effect,” and it’s been seen with fuel-efficient cars as well. If someone chooses to buy a more efficient car, they may drive it more, negating their original intentions. This isn’t simply an energy-usage issue, either. Light pollution can have severe and lasting effects on human and animal populations. Light pollution has been linked to disruptions in circadian rhythm, depression, diabetes, and even cancer. And for animals, lights can interfere with migration, attract insects, and be potentially deadly. To address this issue, countries should switch to low-intensity lights that are amber instead of violet or blue and turn off lights when no one is using them. The Missing Night Sky: What Light Pollution is Keeping from Us?